Here is why the Beatles’ Sgt. Pepper’s Lonely Hearts Club Band still matters. The cover, the sounds, the songs. The Beatles’ “Sgt. 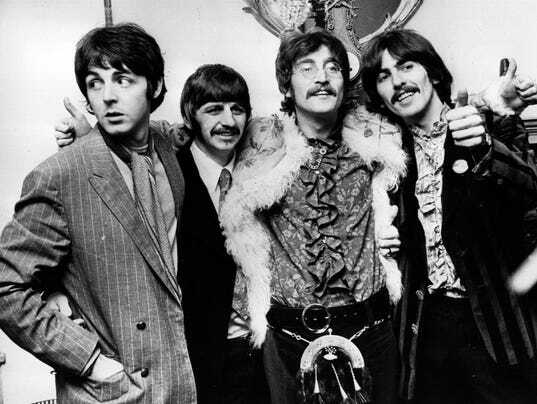 Pepper’s Lonely Hearts Club Band” change the world of music, and the world, when it was released in 1967, first in the United Kingdom on May 26 and then June 2 in the United States. The album was a statement of artistic maturation by the Beatles and of rock ‘n’ roll. Pop music became a serious, studied endeavor, not a childish distraction that could be dismissed as disposable or a passing fad. “Sgt. Pepper” is considered by many to be the greatest rock ‘n’ roll album of all time — this despite the fact that it’s made up of many non-rock components. As it was released 50 years ago, subsequent generations have come to it since ’67. This reporter spent many hours with a newly purchased “Sgt. Pepper,” on vinyl, in the late ’70s. “It’s crazy to think that 50 years later, we are looking back on this project with such fondness and a little bit of amazement at how four guys, a great producer and his engineers could make such a lasting piece of art,” says McCartney in the super-deluxe box-set 50th anniversary edition of “Sgt. Pepper.” It includes 33 previously unreleased tracks, a new stereo remix by Giles Martin, son of original producer George Martin, and a documentary on the making of the album. Multiple anniversary formats, including a single CD, two CDs, two LPs and the super-deluxe box set, have just been released. Here’s a track-by-track short-hand analysis of “Sgt. Pepper,” which is so many things to so many people, and will be, for 50 years more and beyond. 1. “Sgt. 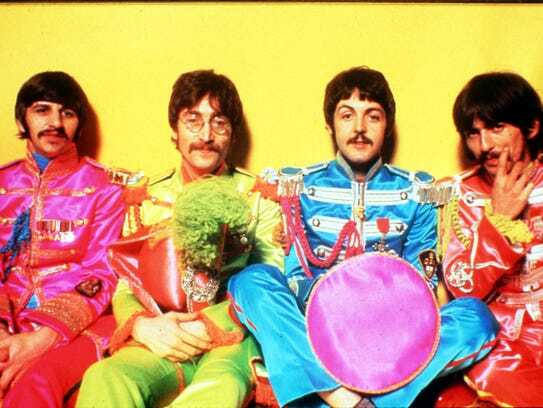 Pepper’s Lonely Hearts Club Band” — “We’re Sgt. 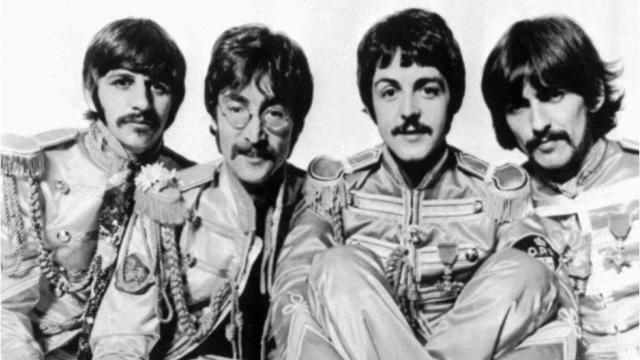 Pepper’s Lonely Hearts Club Band” sings McCartney on the album’s opening track. The song establishes “Pepper” as a rock ‘n’ roll album and the band as the original cos-players. If there was any question, check out the guys’ Victorian military crazy suits on the album cover and gatefold. The pronouncement also suggests “Sgt. Pepper” will tell a story. 2. “With a Little Help from My Friends” — Who’s the Billy Shears referred to in the opening track? It’s Ringo Starr, taking a prominent turn on lead vocals here. This is no throwaway “Boys” or “Act Naturally” designed to appease the Ringo contingent of fans. “With a Little Help from My Friends” is a mid-tempo groover that is one of the warmest records ever made. Starr still performs the track in his live show to this day. 3. “Lucy in the Sky with Diamonds” — Psychedelia, Beatles style. The title’s word play on LSD is unfortunate from a 2017 perspective, but the cellophane flowers of yellow and green still tower over our heads. 4. “Getting Better” — A lighter moment on the album, yet with very dark undertones. The protagonist admits that he used to “beat” his woman, but it’s getting better. We certainly hope so. 5. “Fixing a Hole” — “Fixing a Hole” is the positive intersection between “Eleanor Rigby” and “Nowhere Man.” The protagonist in the track stands away from the “people,” focused on fixing his hole. But where “Nowhere Man” made plans for nobody and Father MacKenzie darned socks for no one in “Eleanor Rigby,” the hole fixer in “Fixing a Hole,” is just fine with fixing a hole for nobody. 6. “She’s Leaving Home” — Beautifully arranged string section frames this tale of a family fractured. In the bigger context, it’s a tale of the growing generation gap of the era — kids were leaving home en masse. 7. “Being for the Benefit of Mr. Kite!” — Where psychedelic rock meets British Music Hall. It’s the aural equivalent of a kaleidoscope. 1. “Within You Without You” — A landmark track which further established the scope of influence songwriter George Harrison and the Beatles would draw from. “Within You Without You” featured elements of Indian classical music. 2. “When I’m Sixty-Four” — McCartney was the cute Beatle on many different levels and “When I’m Sixty-Four” is a charmer of a song. Let’s note that McCartney doesn’t have any grandchildren named Vera, Chuck or Dave. 3. “Lovely Rita” — Drinking tea and lusting after a meter maid is the Beatles way and it’s groovy. 4. “Good Morning Good Morning” — The Beatles loved to sing about mornings: “Here Comes the Sun,” “Good Day Sunshine,” “Norwegian Wood,” “A Day in the Life,” ect. Why there’s a dog barking at the end of “Good Morning Good Morning” is a mystery of the ages. 5. “Sgt. Pepper’s Lonely Hearts Club Band (Reprise)” — The final rock out before the big ending. 6. “A Day in the Life” — The Beatles opus of experience, reality and transcendence. The mundanity and fatal randomness of life is subsumed by a higher reality. Yes, it’s a drug song, composed at the height of the swinging ’60s, but “A Day in the Life’s” richness of sound and vision is not confined by its era.